We spend so much time preparing and scheduling for our families that sometimes we forget that we also need to do a little planning for ourselves. 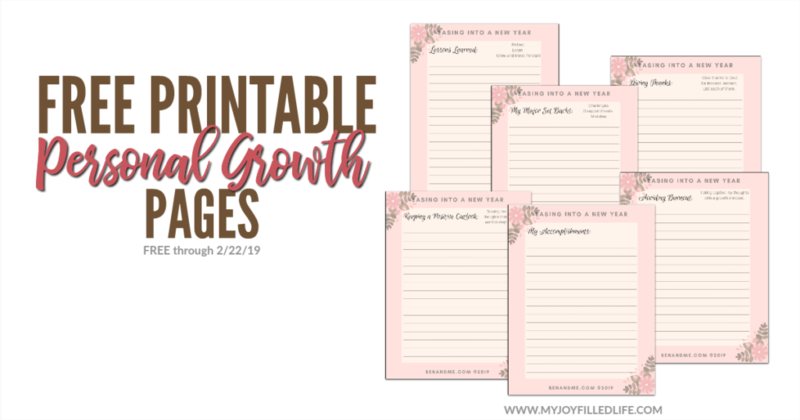 With these personal growth pages, you are forced to sit down and develop some goals for yourself. After all, once we begin to focus on ourselves a little bit more we will find that we are able to serve those around us a lot better. However, this printable won’t be free for long! It is only available until February 22, 2019! Head over to My Joy-Filled Life to grab yours now!